Mexican migration to Milwaukee in the early twentieth century was spurred in part by revolutionary turmoil and anti-Catholic persecution. Many Mexican Catholic immigrants to Milwaukee found work in the city’s tanneries and housing on the near South Side. Outreach toward Mexicans by the local Catholic Church was spurred by the Society of St. Vincent de Paul, which distributed charity. In addition, the Knights of Columbus, who had taken a firm stand against revolutionary activity in Mexico, were also a support to these immigrants fleeing to the U.S. In Milwaukee, church goods dealer Frank Gross (1888-1980), active in both St. Vincent de Paul and the Knights, was a stern critic of the anti-clerical regime in Mexico and had an equally passionate love for the Mexican national icon, Our Lady of Guadalupe. Gross brought needs of local Mexicans to the attention of the Knights of Columbus Council and was appointed to spearhead efforts to help them. He worked with local publisher William Bruce, who also had an interest in the welfare of Mexican migrant workers. 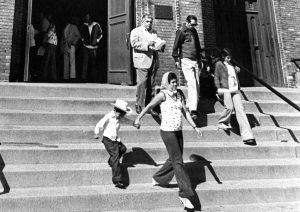 The two men founded a storefront church for Milwaukee’s Mexicans on 5th and National on the South Side. They raised $1600 to remodel the building and then christened it the “Mission of Our Lady of Guadalupe.” Archbishop Sebastian Messmer found Spanish-speaking priests to offer Mass and spiritual help to the small colonia; the mission was blessed on December 12, 1926. In 1944, the mission moved to a recently vacated Wisconsin Telephone Company building, and then in 1965, this spiritual community relocated once again, this time following its merger with the congregation at Holy Trinity, a parish run by the Conventual Franciscans. ^ Steven M. Avella, In the Richness of the Earth (Milwaukee: Marquette University Press, 2002), 360-362. Avella, Steven M. In the Richness of the Earth. Milwaukee: Marquette University Press, 2002. 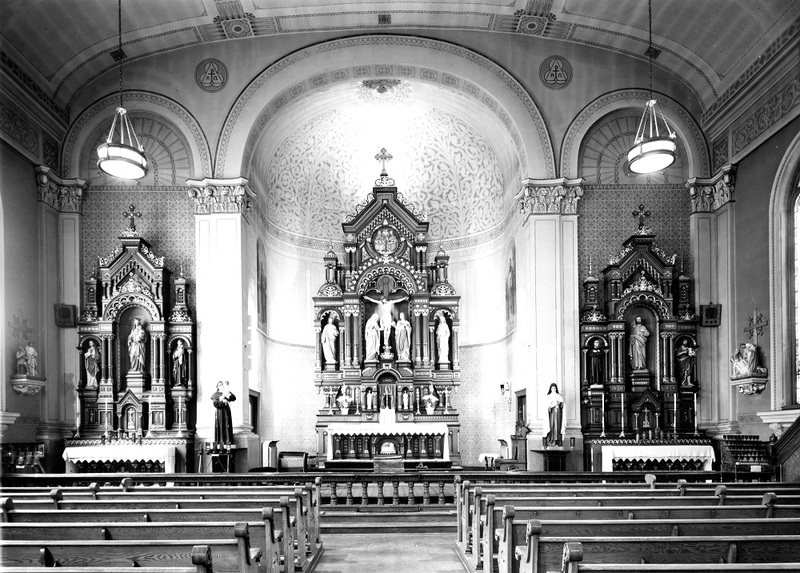 González, Sergio M. “Interethnic Catholicism and Transnational Religious Connections: Milwaukee’s Mexican Mission Chapel of Our Lady of Guadalupe, 1924-1929.” Journal of American Ethnic History 36:1 (2016): 5-30.